Jac o' lyn Murphy: Aiming to turn 9! Alexis, You are SO CREATIVE. Everything you do is Magic! Today I'm having a "moment" b/c I had planned to ask you to help me with Ty's bday invite...then, I waited too long...now I'm waiting on them...and the party is Sept 19th. Talk about falling down on the job. Sob! 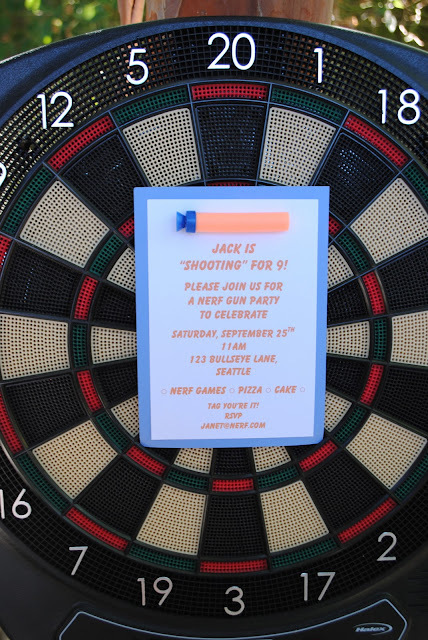 Wish I knew Jack so I could come too! And wait - you can get a nerf.com address for the party rsvp?! Very cool! How cute!! 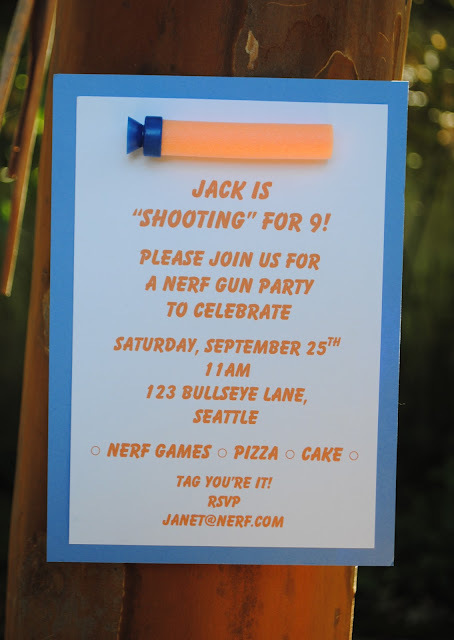 I bet that will be quite the fun party!